Chicken noodle soup has always been a staple comfort food, especially if you are down with the cold or flu. Soup is also a great way to warm up your tummy during those freezing nights in winter. 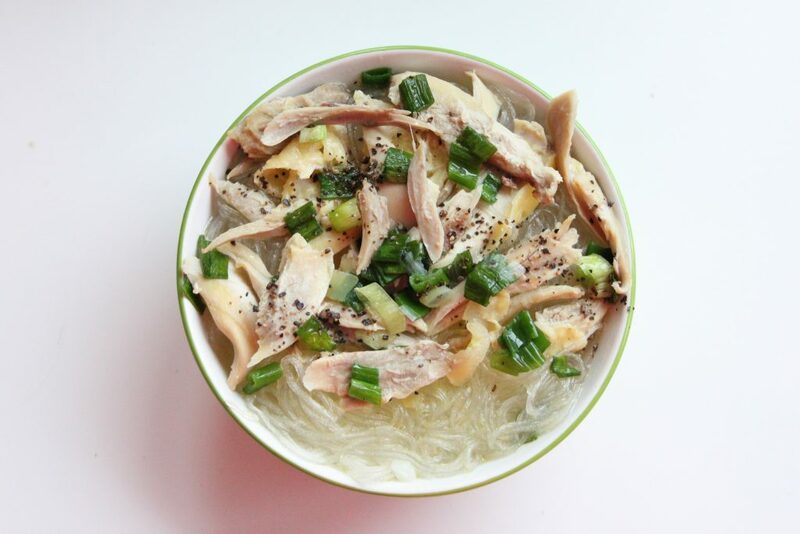 When you want to put together something warm, try this quick and easy chicken noodle recipe. Chicken noodle soup in general is a versatile recipe. This one is a bit different from the traditional version – with a Vietnamese twist that uses rice noodles instead. This method of cooking requires boiling and simmering, so it’s the perfect healthy soup to have for dinner. It’s not that time consuming to make, so you can make this on weeknights as well. Bring chicken stock to a boil in a sauce pot. Add chicken fillet and cook for about 3 to 5 minutes. Remove chicken breast fillets from the pot and set aside to cool slightly. Continue to simmer the chicken stock. Shred the chicken breast fillets. Add star anise, bay leaves, and fish sauce to the pot. Drop in the noodles and shredded chicken. Scoop into bowls. Season with lime juice, and top with cilantro and shallots. Serve with lime wedges on the side, if desired. Did you know you can make chicken stock out of chicken bouillon cubes? For this recipe, just drop 2 chicken bouillon cubes to 2 liters of water and bring the water to a boil. Another great way to save is meal planning. Check out these meal planning ideas to help save money.